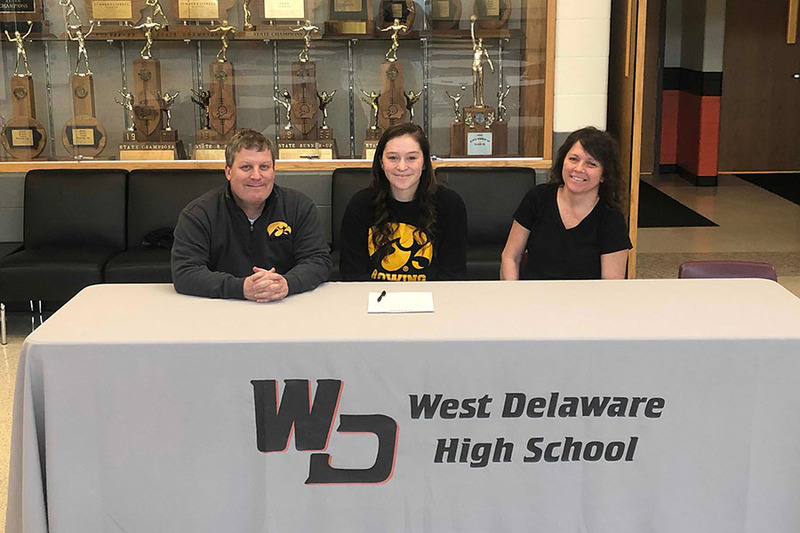 Lilly Meyer (12), with her parents by her side, signs for the University of Iowa Rowing team. Senior Lilly Meyer has never competed in rowing competitions. However, Meyer has committed to row for the University of Iowa rowing team for the 2019-2020 school year. After Meyer qualified for the discus event for state track, the Iowa rowing coaches contacted her. Meyer is excited to continue her athletic career and to be a part of a group in college. 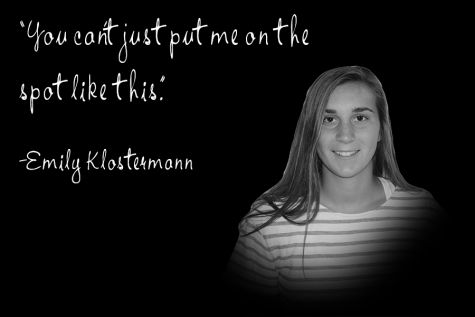 “Being a part of a group will help me navigate college better, and I always like being in shape,” Meyer said. Even though Meyer has never rowed in the water, she has participated in a rowing simulation at the Iowa Boat House on the University of Iowa campus. Meyer is preparing for college by working out on a rowing machine as well as running and lifting weights.